Our client has many hobbies and talents so his garage is always in use. 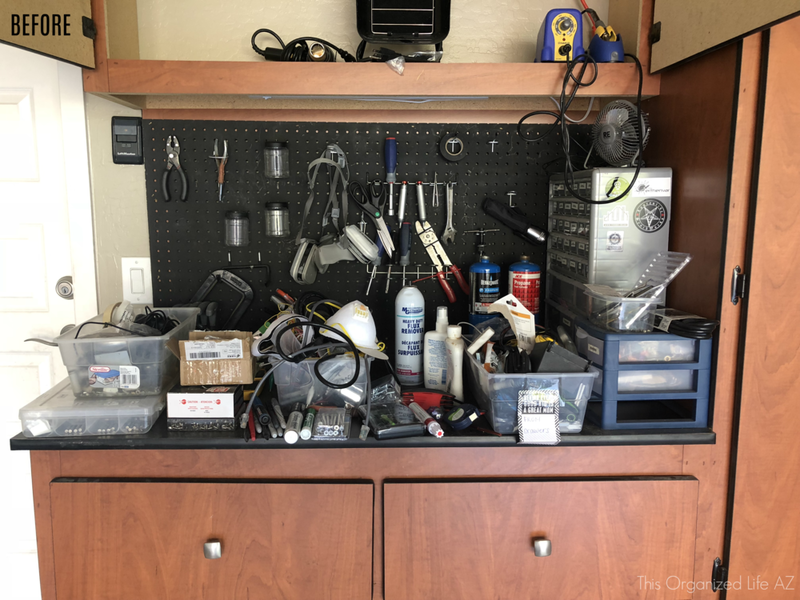 He stores tools and supplies for his varied interests, including pinball machine restoration, music producing and 3-D printing and design. Aside from all that, he has a family with young children so they also need storage for bikes, holiday decor and the usual garage stuff. Upon moving into their new home, they had custom flooring and cabinets installed in the garage. Although it looked very nice, behind these cabinet doors was another story. 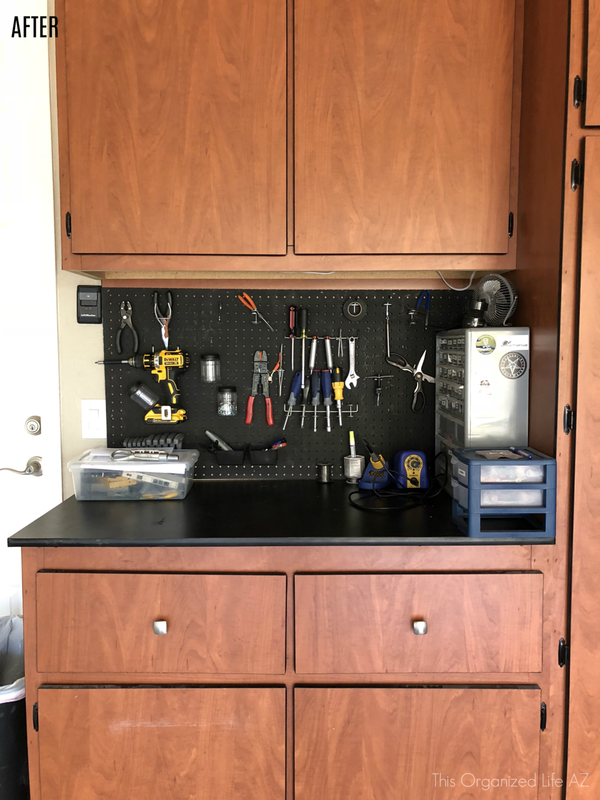 The client told us that in the heat of Phoenix summers, he didn't want to spend much time in the garage, so when he needed something, he'd grab it to use inside and then toss it on his workbench instead of putting it away. He intended to get around to cleaning up in the fall, but working on a big project took all his free time. He gave us a call and working together with the client and his wife, we went through all the garage contents, discarding those things no longer needed, such as things left from the home builder. Luckily, their town has a hazardous waste drop off so we were able to properly dispose of all the paint, chemicals, etc. After sorting, the clients gained a few more shelves for storage and even found some things they had forgotten they had!